The United States still faces a dangerous fiscal deficit, but one might not know it from the complacency that dominates budget discussions in Washington. Regarded as an urgent problem until recently, the federal deficit is now being placed on the back burner of American politics. The shift in thinking was triggered by the revised deficit forecasts recently published by the Congressional Budget Office, the independent technical agency responsible for advising Congress on budget issues. 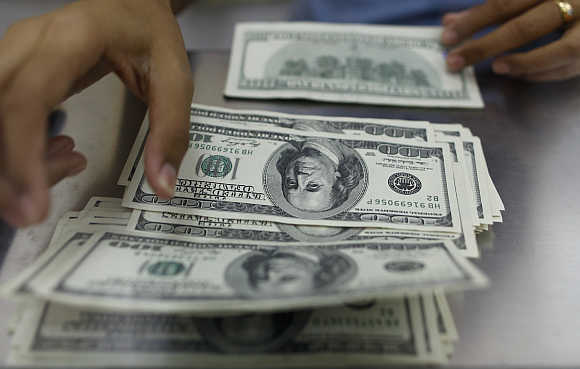 According to the CBO's report, the US fiscal deficit will decline from seven per cent of GDP in 2012 to four per cent in 2013. 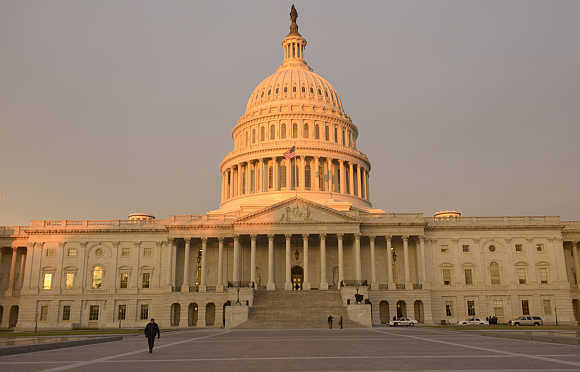 Image: A view of the East front of the US Capitol in Washington, DC. This reduction reflects the cuts in government spending on defence and non-defence programmes mandated by the budget "sequester" that took effect in March, as well as the rise in revenue caused by higher rates for income and payroll taxes since the end of 2012. More striking is the CBO's projection that the deficit will continue to decline rapidly, reaching just 2.1 per cent of GDP in 2015, before rising gradually to just 3.5 per cent of GDP in 2023, the end of the CBO's official forecast period. That path of deficits implies that the government debt-to-GDP ratio will remain at about the current level of 75 per cent for the next 10 years. 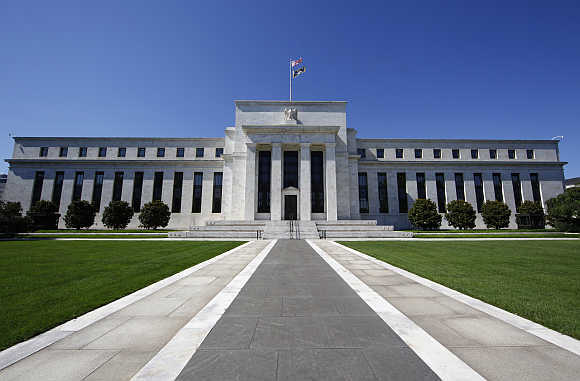 Image: US Federal Reserve building in Washington, DC. Unfortunately, these headline-grabbing numbers are not likely to be borne out in reality; indeed, even the CBO does not believe that they represent what will occur. Instead, these official forecasts represent a "baseline" scenario that the CBO is required to present. The CBO's "baseline budget" assumes that all of the deficit-reducing features in current law will remain unchanged. These include, for example, an old legislative requirement that payments to physicians in the government's Medicare programme be reduced sharply in future years, a requirement that Congress has voted each year to "postpone". In order to provide better guidance, the CBO presents an "alternative fiscal scenario," in which such very unlikely features are removed from the forecast. 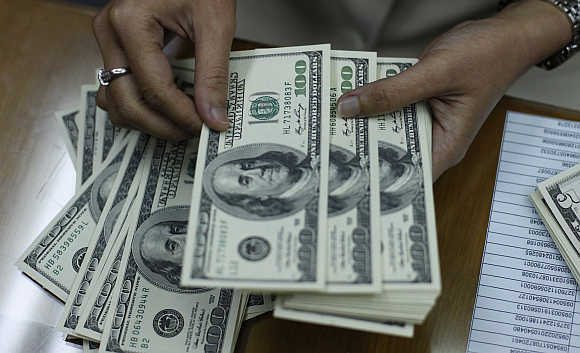 Image: An employee counts dollar notes at a money changer in Jakarta, Indonesia. The alternative forecast implies that the annual budget deficit at the end of 10 years will be back up to 4.7 per cent of GDP, with the debt-to-GDP ratio at 83 per cent and rising. And those estimates are based on the optimistic assumption that the economy will have returned gradually to full employment with low inflation and moderate interest rates. Officials and others who favour stimulating growth through increased government spending ignore the CBO's more realistic alternative scenario. They buttress their argument that the deficit is not an immediate problem by pointing to very low interest rates on long-term government debt, with a two per cent yield on the 10-year Treasury bond and a negative real interest rate on Treasury inflation-protected bonds. 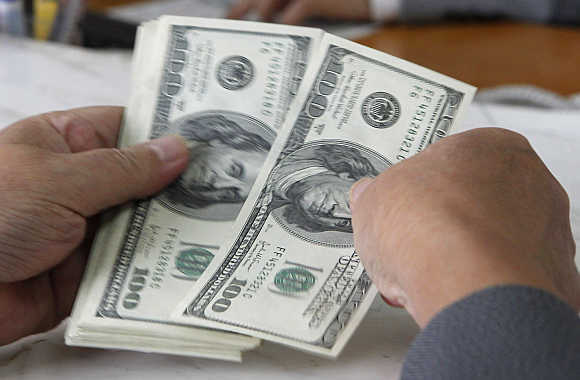 Image: A customer counts dollar notes at a bank in Hanoi, Vietnam. But such low rates do not reflect ordinary market sentiment; rather, they stem from the fact that the Federal Reserve is now buying more long-term securities than the government is issuing to finance the budget deficit. Looking further ahead, the CBO warns that the combination of a rapidly aging population and the increase in medical costs will cause the deficit to rise rapidly, driven by the higher costs of pension and health care benefits for middle-income retirees. According to the CBO, without legislative changes, the fiscal deficit in 2037 will be 17 per cent of GDP, while the national debt will increase to more than 195 per cent of GDP. 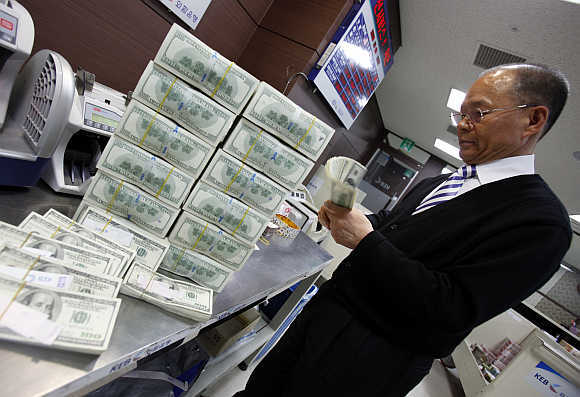 Image: An employee of the Korea Exchange Bank counts one hundred dollar notes in Seoul, South Korea. A large and rising national debt is a serious danger to an economy's health. Higher debt-service costs require higher tax rates, which in turn weaken incentives and reduce economic growth. By the end of the decade, the US will have to pay an amount equivalent to more than one-third of the revenue from personal-income taxes just to pay the interest on the national debt. 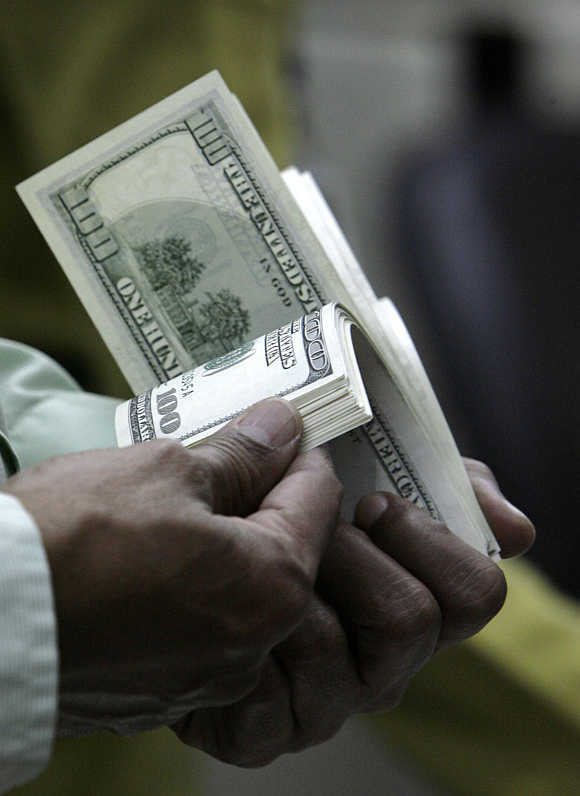 Foreign investors now hold more than half of that debt. Paying interest to them requires sending more goods and services to the rest of the world than the US receives from the rest of the world. Image: A customer counts dollar notes in Jakarta, Indonesia. That requires a weaker dollar to make US goods more attractive to foreign buyers and to make foreign goods more expensive to American consumers. 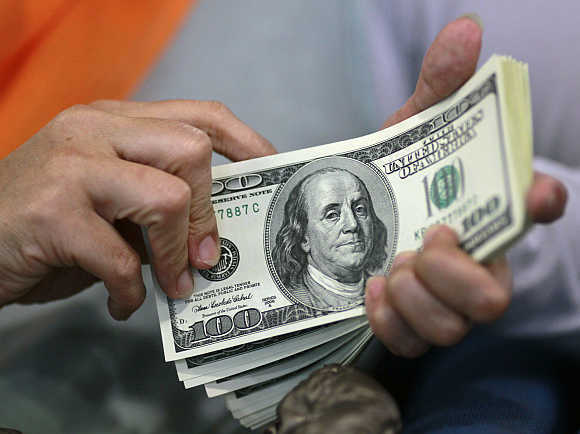 The weaker dollar reduces the US standard of living. A large national debt also limits the government's ability to respond to emergencies, including both military threats and economic downturns. And it makes the US vulnerable to changes in financial market sentiment, as the European experience has shown. Reducing future deficits and reversing the rise in the national debt require raising tax revenue and slowing the growth of government pension and health care programmes. Tax revenue can be raised without increasing marginal tax rates by limiting the tax subsidies that are built into the current tax code. 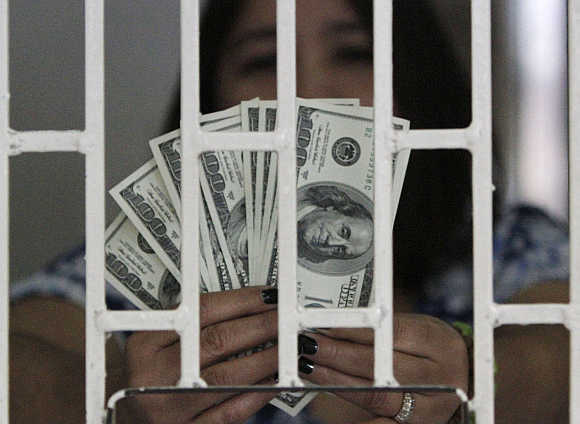 Image: An employee checks dollar notes at a money changer in Manila, the Philippines. Those subsidies are a hidden form of government spending on everything from home mortgages and health insurance to the purchase of hybrid cars and residential solar panels. Slowing the growth of the pension and health-care programmes for middle-class retirees cannot be done abruptly. It must begin by giving notice to those who are now a decade away from retirement - which is why it is important to launch such reforms now. Unfortunately, the new complacency about future deficits makes it difficult, if not impossible, to enact the legislation needed to begin the process of trimming America's long-term fiscal deficit. Image: A woman counts dollar notes at a money changer in Jakarta, Indonesia. It is important for policy makers and the public alike to understand the real fiscal outlook and the damage that high deficits will cause if prompt action is not taken. Image: A woman counts dollars at a money changer in Yangon, Myanmar. Brilliant tech innovations you must see!